When Shaker One was just a wee girl, eating out at a fancy restaurant was a rare treat. To my 6 year old self, nothing was more elegant than ordering my own “cocktail”- The Shirley Temple. A grown up looking drink in my favorite little girl color garnished with a cherry. Sometimes the bartender would even put a little drink umbrella in it for me. I fancied myself quite the sophisticate! Flash forward 20 years or so (What? Move along.) to a hot summer evening and a thirsty Shaker. A school night, so martinis are out and I wanted something more than just a glass of bubbly……..Shaker One gets creative. 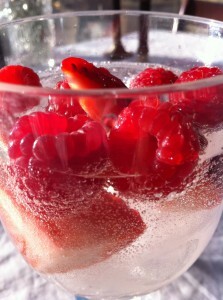 Pomme juice, lime juice, simple syrup, a splash of lemon over ice topped with prosecco and very ripe berries. Looks like Miss Temple stayed out after curfew on this one. Innocent pink color, heady scent of lush berries as you sip, slightly sweet but mostly very refreshing. Stand up and cheer, this one’s a winner! Now gentlemen, I don’t want to hear “but it’s pink!”. Of course it is. Many delicious things are red. And red, when diluted with things like vodka or prosecco turns pink. Be secure enough to imbibe all things blushing. 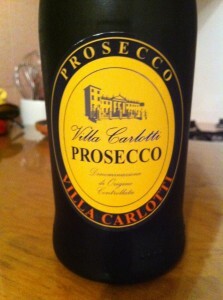 Villa Carlotti Prosecco. Similar price point to my old pal Zonin. I tried this one straight-no berries or additions. It is a dryer bubbly, balanced and pleasant with a hint of apricots. Oh man, now I sound like one of THOSE wine people. Stop me. Anyway, I enjoyed it and it has earned itself a seat on the bench. If Zonin goes out of the game, I’ll send in this sparkler. Now go pour yourselves a glass of something fun. Bubbly Tales-Pt. 9: A Whiter Shade of Yum. Shaker One here-back for another sip of all things fizzy. So as I’ve mentioned before, I’m not much of a wine drinker. I enjoy hearty reds with meals. But wine is a “drink with food” beverage for me. And for some odd reason -bubblies aside- I only drink reds. 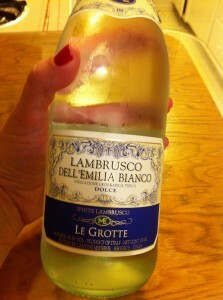 While grabbing a few bottles of my new friend Lambrusco (red) I noticed that they had the same brand in white….hmmmm. I was intrigued. 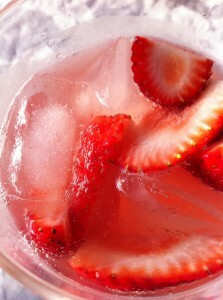 You know the drill: glass, ice, toss in a few berries for fun and here we go. Nice! Very nice. Soft, not too sweet and none of that “oaky” chardonnay taste I loathe. You could very easily make a white sangria from this for the summer….add fresh berries, nectarines, whatever fruit makes you happy. 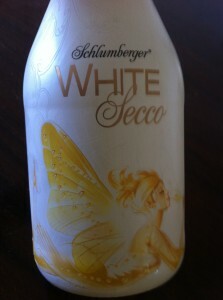 I’m still crushing hard on my new bestest summer friend Red Lambrusco, but Whitey can stop by every now and then and join in the fun. Oh Lambruscos, where have you been all my summertimes? Purchased at Trader Joe’s, this go-to sparkler retails for under $8. Yes, you read that correctly. It is perfect with mimosas or other mixed cocktails and really very pleasant on its own. 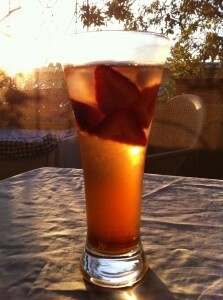 I often enjoy a glass or three simply with a strawberry dropped into the bottom of the glass. And as I am not a white wine drinker, other than the bubbly types, I also use this to deglaze a pan or make a sauce….anywhere you’d use a dry white wine. At this price point I don’t even feel bad if I open a bottle, enjoy a few glasses over two or three days and end up pouring the rest out. Not what I’d select for a celebration or fancy dinner, but a solid choice for your everyday workhorse bubbly. 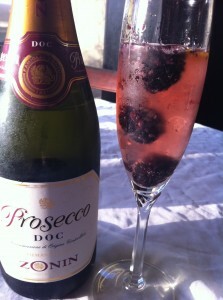 Affordable, drinkable, mixable, cookable…….this bubbly is one to keep on hand. Give it a try. Unless you don’t have a Trader Joe’s nearby. Then I’m so, so sorry for you.